Magnetic Waves Invade Our Daily Lives In Hong Kong More Than Anywhere Else. How Does This Impact On Health? The use of connected objects is constantly growing. Many scientific studies seeking to measure the risks to our health but sometimes it is difficult to assess and understand their real misdeeds. IN 2016, there are over 1 billion tablets and nearly 8 billion mobile phones worldwide. In Hong Kong, 96% of smartphone users, surf the Internet every day. This is the world’s largest percentage. Bluetooth, WiFi, 4G, smartphones … You probably know these terms. There are chances that the word “electro-hypersensitive” leaves you a little perplexed. However, they are closely related. Indeed, in recent years, more people complain of intolerance to the Electromagnetic Field (EMF). WHO labelled class 2 for brain tumor. Within the scientific community, the danger of electromagnetic waves on health continues to debate, yet the inconveniences they cause on the body seem real, both physically and psychologically. Headache, visual disturbances, difficulty concentrating, memory loss, sleep disorder. More and more people are suffering in without this being officially recognized, resulting in a lack of treatments and an even greater disarray. In 2002, the International Agency for Research on Cancer has classified EMF as a possible human carcinogen. Then in 2011 it was the turn of radio frequency join this group. Studies show a significant link between childhood leukemia and exposure to high fields (> 0.2μT). A large European study has also highlighted the link between mobile phone use and risk of brain cancer.In 2007, a comprehensive report reviewed 1,800 studies. The waves may impact particularly on DNA, the concentration of children, cancer, behavioral problems, autism and fertility. Did you know cutting-edge research in the past years shows that our DNA emit thousands of photons of electromagnetic waves every seconds? The problem is that the frequency can get interfered with electronic devices. On 8 July 2016, the National Agency of Health Security of Food, Environment and Labour (ANSES) has finally released a report concluding that the possible effects of wireless technologies on cognition and well-being which led her to advocate “moderate use and box” of these technologies. This report points to, in particular the effect of waves on children who are exposed more and earlier. This is not just relating to mobile phones and tablets, but also including radio-controlled toys, communicating robots, walkie-talkies, sleep-baby (baby) and other monitoring devices (such as bracelets emitting a signal when the toddler is away from a given area). In the end, an electromagnetic mist is continuously present in our environment and our children. It is therefore relevant to want to protect yourself by adopting simple and effective precautionary measures. Solutions do exist. These are becoming more powerful, they emit an increasing number of waves. The glue ear would be like putting the brain in a microwave oven (caricaturing), but there are more. TV, tablets, GPS …. are also concerned. It is therefore important to protect yourself to reduce the impact and minimize the impact on our health. However these precautions sometimes prove inadequate because it is not always easy to isolate themselves completely from any electronic device. You or your family certainly use mobile technologies regularly, without necessarily to turn them off, for personal or professional reasons. It becomes critical to find ways to reduce their impact. If you ever experience symptoms such as fatigue, lack of concentration, headaches, dizziness, irritability, depression, memory loss, they may be related to exposure to EMF. 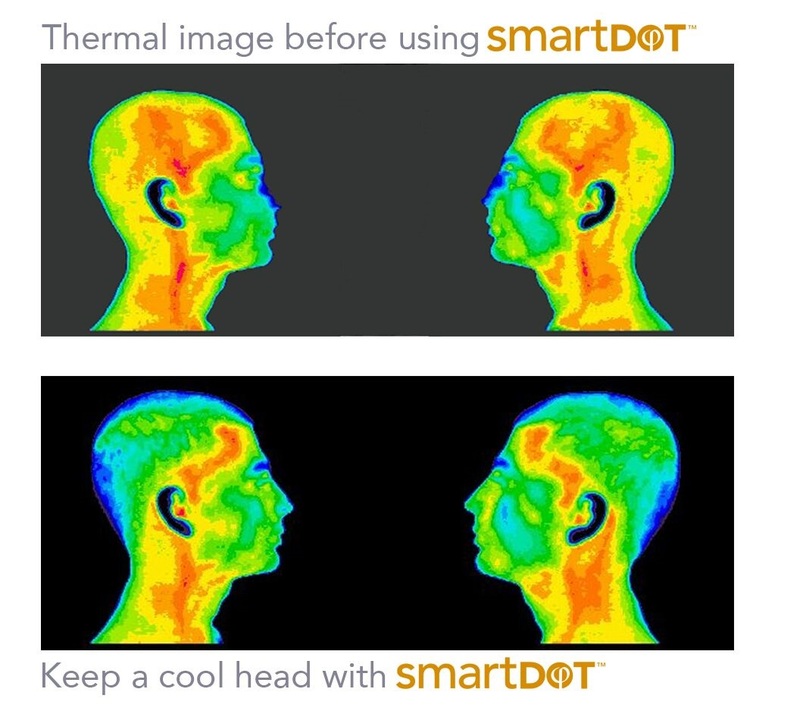 The Smart Dots have proven effective to reduce these effects and find a quiet and serene life. 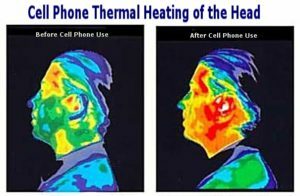 The red blood cells of human blood contains iron molecules but the electromagnetic waves emitted by mobile phones “polarize” the iron molecules, turning them into micro magnets, which then stick to each other and reduces the oxygen supply of the organs and the brain, where abnormal fatigue and physiological disorders begin. By setting a Dots on a mobile (they stick very simple manner outside or inside of the phone or tablet), red blood cells are protected and polarize more. Smart Dots can also be used on your Wi-Fi box, in your car, they adapt to your daily life and your goal. Developed over 12 years Smart Dots demonstrated their harmonizing effect on the electrical activity of the cells, thus enhancing the body’s resistance to electro – pollution. Protect yourself and wear one on the back of your watch or on the back of your phone, computer… One purchase lasts for a lifetime. Contact info@drsusanjamieson.com for more information.